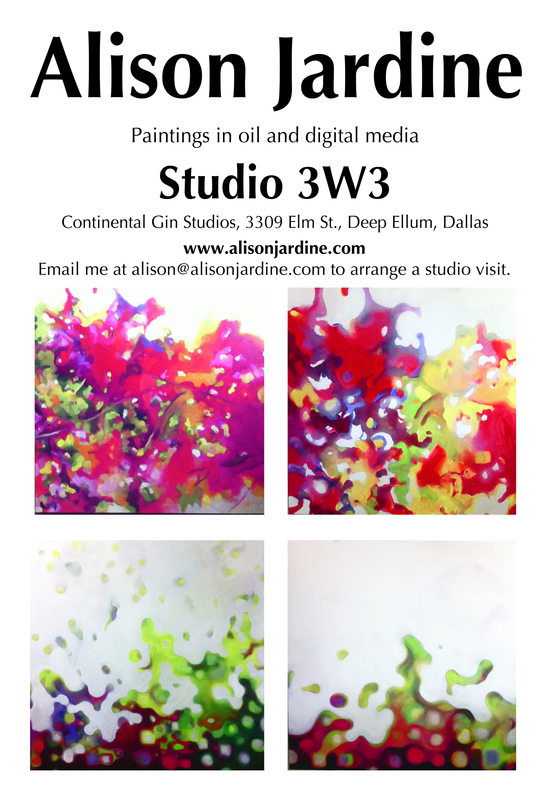 I have been creating small posters to put up around the building in which my studio is located. It is large and rambling, and I want to make sure people can find me. Of course, the ones I’ve put up there have different instructions on them (as I would presume people already IN the building know that they are there), such as “Up the stairs, turn left…” Clearly, I am a marketing guru. Anyway, I decided to alter it slightly and post it here, so you can see what I am up to… the colors are a little funky and neon on the screen here, which they are NOT in real life, but its still pretty.